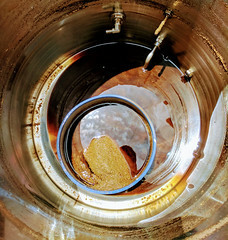 Save 10% Off Popular Homebrewing Recipe Kits! 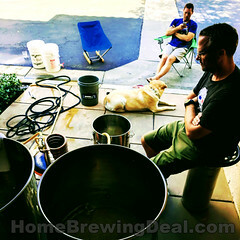 Sale Description: Adventures in homebrewing has some great sales going on right now. 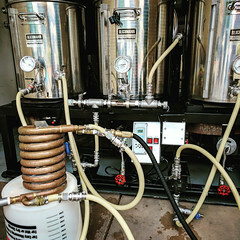 For all grain homebrewers you can save 10% on their most popular all grain beer recipe kits including Moose Drool for $19, Oktoberfest for $20 and a Fat Tire homebrew clone for just $18. 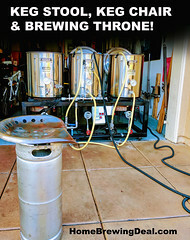 For the extract home brewers out there you can get free shipping on some of Adventures in Homebrewing most popular Fall 5 Gallon home brewing recipe kits! Coupon Item Description: Adventures in Homebrewing currently has a promotion going on where you can save over 50% on this Diet IPA Home Brewing Beer Recipe Kit! Make a New Year’s Resolution that will taste great with this “diet” version of a classic style is lite bodied and golden in color. Late additions of Mosaic hops give this India Pale Ale its fragrant bouquet and resinous flavor. This diet beer homebrew recipe is only available while supplies last, so pick up this great home brewing deal while you can!